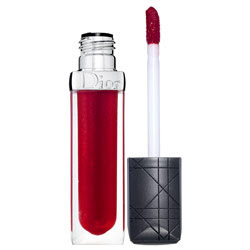 Creme de Gloss is the latest offering by Dior. Essentially, it’s a lipstick that’s liquid enough to come in a tube. It’s as pigmented as a lipstick and wears like a lipstick too! Besides the packaging, the difference is that it is so smooth. There aren’t a lot of colours available but with a mix of brights and neutrals (including an orange-based red), there’s something for everyone. This is perfect for those holiday parties when you want to wear a lipstick but don’t want to wear lipstick. Get yours wherever Dior products are sold.